Congratulations to Iwontdothatagain and driver Kelly Hoerdt for their victory in the $9,000 Open Pace here at Century Downs this past Monday, August 20th. 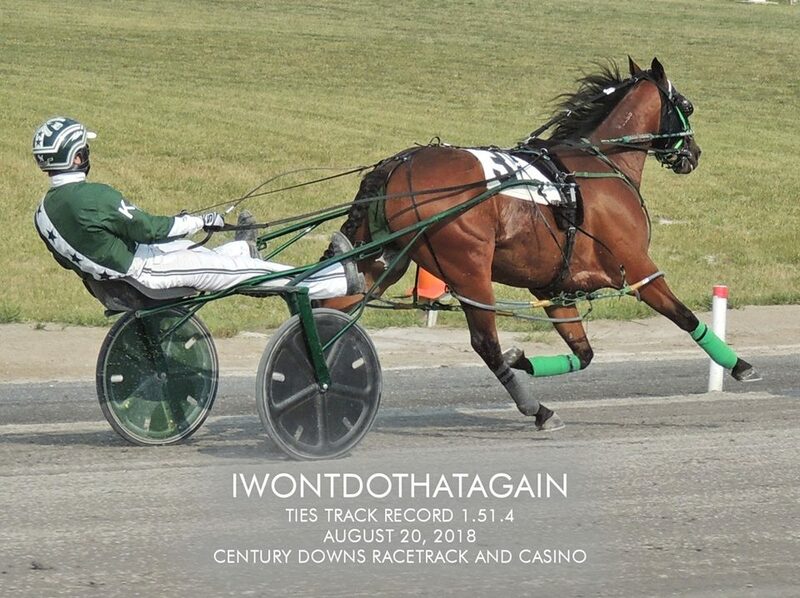 Iwontdothatagain stopped the clock in a blazing time of 1.51.4 which landed him in the record books by equalling the track record here at Century Downs. KOKANEE SEELSTER has held the track record since September 9, 2017. The seven-year-old son of Stonebridge Regal improved his record to 6-5-3 from 16 stars this year. He now has 29 lifetime wins and has close to $210,000 in the bank for owners Kelly Hoerdt and Ed Keryliuk.